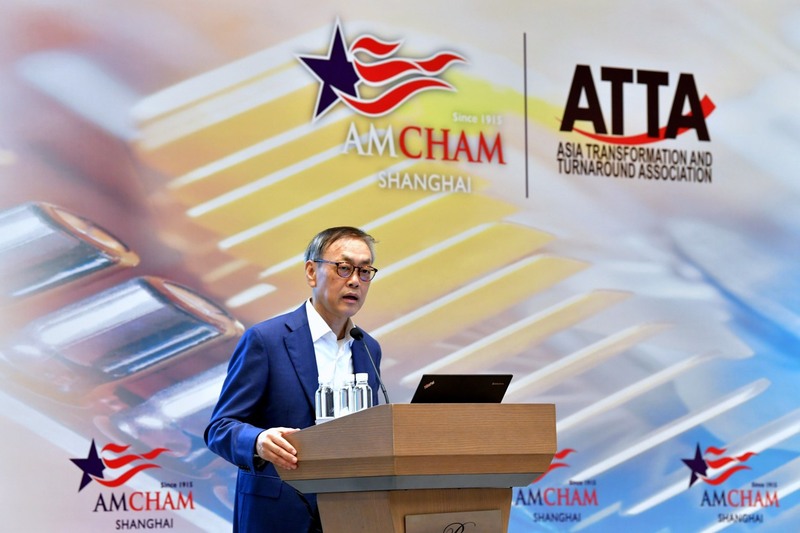 AmCham Shanghai and the Asia Transformation & Turnaround Association (ATTA) held their first joint Transformation Conference, "Transform or Be Disrupted" on May 10, 2018 in Shanghai. MNC executives from corporations such as Honeywell, 3M, L’Oreal, and transformational consultants from different industries shared their insights and experiences in transforming their or their clients' businesses through operations execution, innovation, and identifying alternatives to traditional business models. The conference keynote was given by Edward Tse, Chairman and CEO of Gao Feng Advisory Company. Tse discussed that with the rise of technology, the China market for all industries has been disrupted; new, unique, and unprecedented companies and business models have also emerged. The first panel discussion featured Caroline Pan of Honeywell, Annabelle Vultee of EF English Center, T.T. Chen of Taplow Group and Herbert Yuen of MSA Safety Equipment CO., LTD. They discussed the characteristics of a successful business model in China, as well as how their companies adapted to momentous changes over time. The second panel consisted of George Geh of Alix Partners, Tobias Monden of Staufen, Jay Cheng of Johnson Controls Asia Pacific, and James Greener of ATTA. The panelists discussed the various ways to achieve operations excellence, how to improve efficiency, and identified the keys to management for Industry 4.0 (the current trend of automation and data exchange in manufacturing technologies). The final panel included Arthur Fong of 3M China, Stephane Wilmet of L'Oreal China, Sarah Kochling of Blosson, Clair Chen of Clobotics and Nishtha Mehta of Collab Central Consulting Inc. Different aspects of innovation in the workplace were discussed. Notes: A first version of this article was published on the AmCham Shanghai website here. For a detailed agenda of the conference, see the relevant entry in the "Conference" section of tha ATTA website.